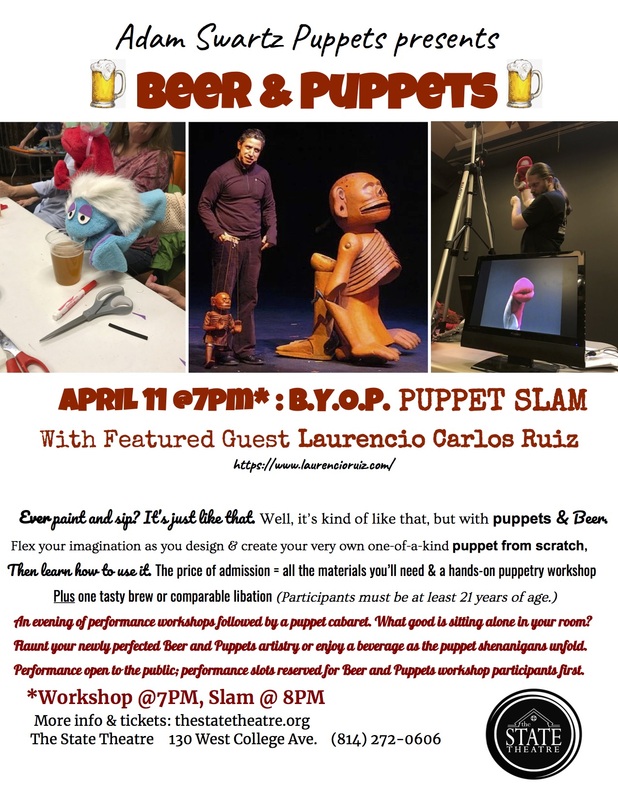 An evening of performance workshops followed by a puppet cabaret with featured guest ​puppeteer Laurencio Carlos Ruiz. What good is sitting alone in your room? Flaunt your newly perfected Beer and Puppets artistry or enjoy a beverage as the puppet shenanigans unfold. Performance open to the public; performance slots reserved for Beer and Puppets workshop participants first.